I don't do a whole lot of Easter decorating because I am not a huge fan of using pastels in my home. I did find these gilded golden eggs while out and about recently and just knew they would be perfect in bowls and nests around the house. I added some of the golden, speckled eggs to an oyster bowl on the coffee table as well as to a wooden acorn on an end table. 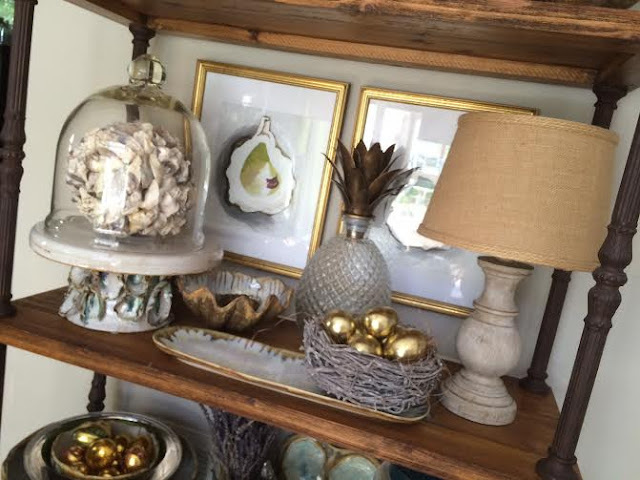 I added the gilded eggs to a nest in the dining area. 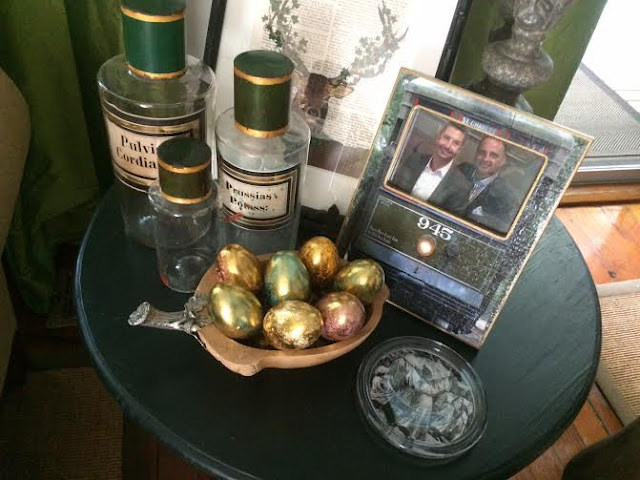 I also added them to my Eastery mantle in the parlor. 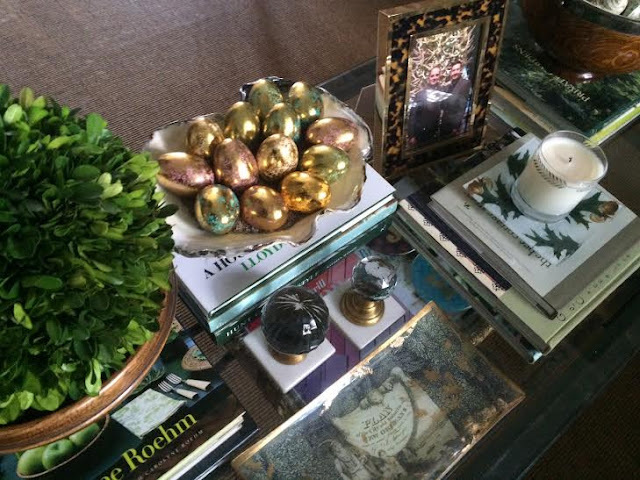 The golden eggs are a fun and easy way to accessorize for the Spring. 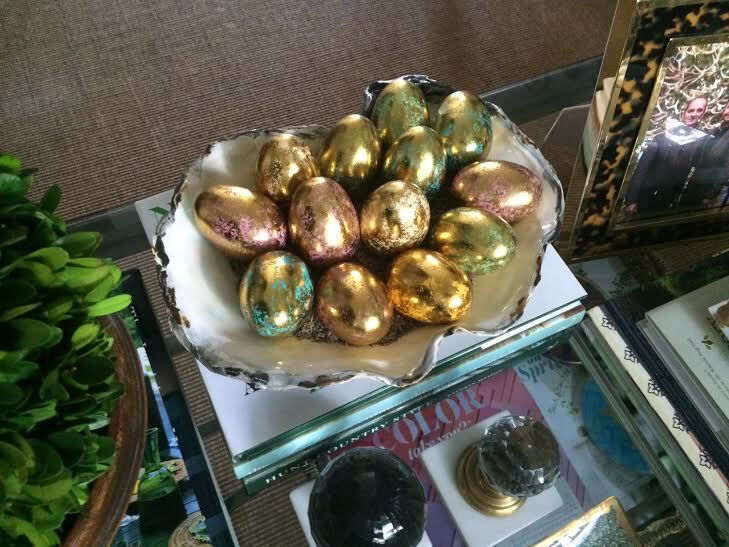 These eggs look really good in your home Ron. I saw some eggs that were dyed using men's silk ties and they were so decorative. I could see those in your home also. 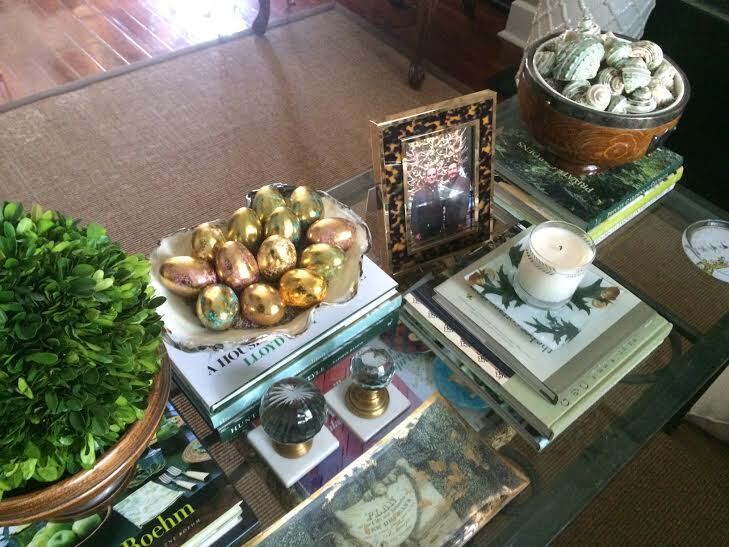 I think the gilded eggs are the perfect Easter accessory for your home! I don't really do ANY Easter decorating AT ALL! Oops! Guess I'm a bad blogger. 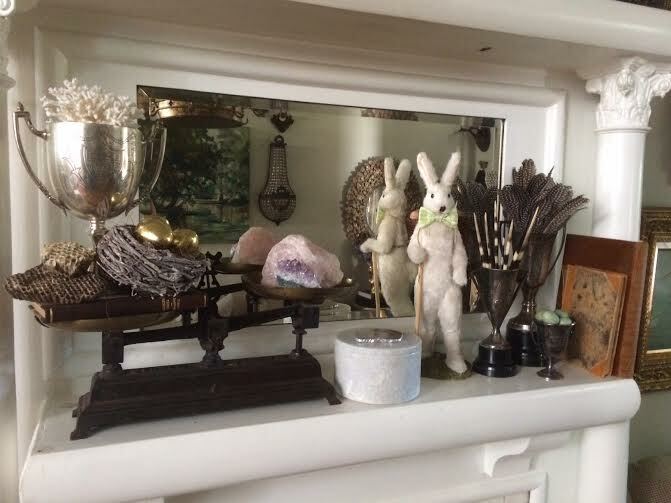 I used to do some outside when my kids were little and got Easter baskets but I've never decorated inside for it. So, hey you do more than me! Beautiful eggs -- they are a very sophisticated riff on what can get too cutesy for words. I'm all in favor of anything sparkly! Looks very elegant. I love them, what a fabulous find. Ron, your eggs are beautiful! Since I don't do pastels either, those would be awesome in my home, as well! I need to find some for next year!